New body attached, eyechip work and other restoration works done by Melissa. 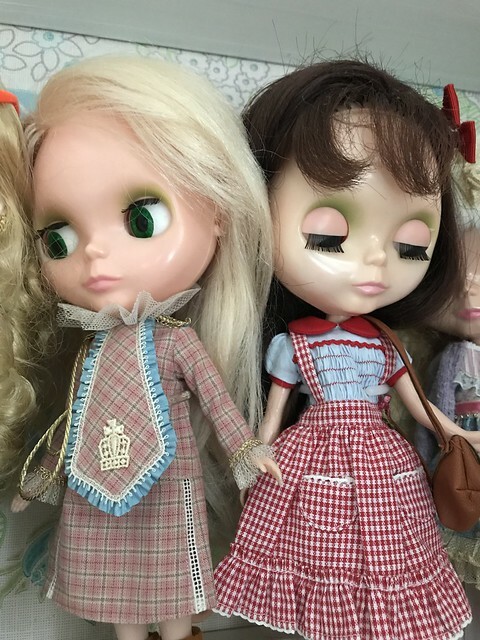 Petunia is the first Kenner Blythe in the family. She lost her body and missed a eyechip, but she went to the Save Blythe hospital and became more like her old self again. Petunia loves to go to the Funny Bunny salon to get her hair set in curlers. She is best friends with Kara Zor-El.